Well almost, I’d like to say we’re getting equal billing at the o2 this weekend with Robbie Williams, but thats not exactly true. 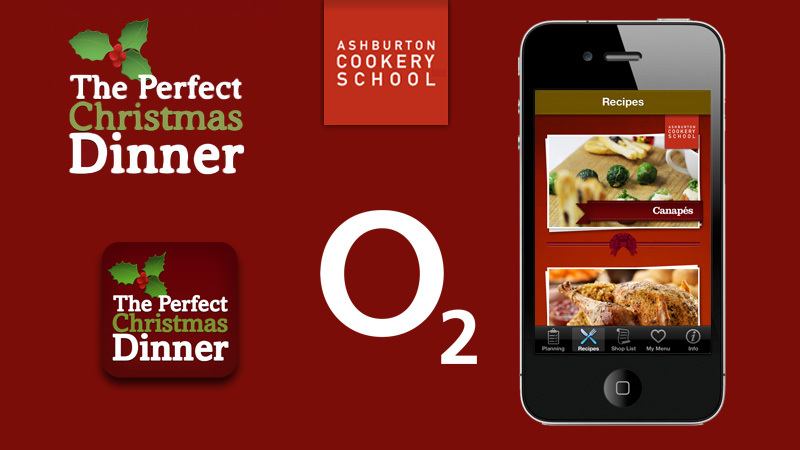 But we were thrilled to hear from one of our iPhone App clients this week that the Ashburton’s Cookery School App, “The Perfect Christmas Dinner” has been selected by O2 to feature in there In-store Magazine. When you consider the wealth of choice they had from cookery based apps and the profiles of some of the chefs behind those Apps its quite an achievement. This is a great example of two companies doing what they do best, createanet delivered a great looking app that works and is easy to use and Ashburton’s Cookery School provided great recipes, stunning photography and engaging video content, all topped of with a sprig of holly. Congratulations to Ashburton’s Cookery School, we look forward to working with them on a lot more projects in the future.